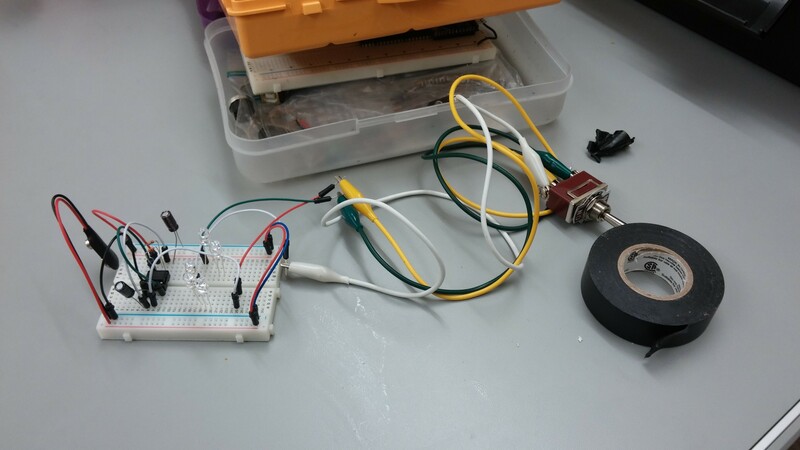 I made a bicycle turn signal! 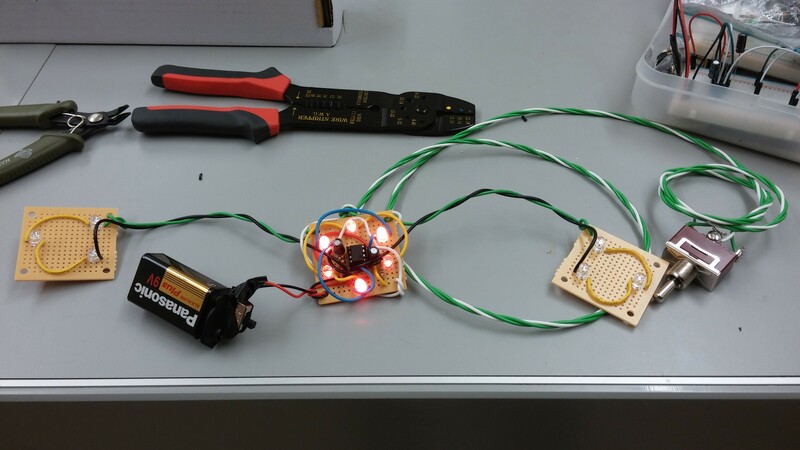 I designed a circuit for it, and worked with Michelle Yuen who independently developed another circuit. We ended up using hers. We built it for the Maker’s club. Here is my prototype (top) and my final circuit (bottom).